Coffee Bean Plant Seeds ★ DWARF CATURA / ARABICA Coffea Catura is native to Brazil. Despite that it stays much shorter than other coffee species, it is an abundant producer of beans. The coffee from catura beans is of the highest quality. It can also be happily grown in direct sun, whereas other coffee species prefer a bit of shading. It grows best at high altitudes but will adapt to almost any environment. Soils should contain adequate supplies of nitrogen, calcium and magnesium, and plants should be fertilized regularly. 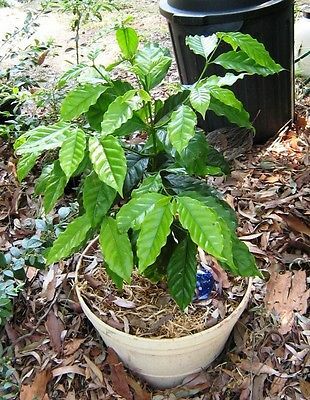 Catura, like other coffee varieties, makes a great houseplant with thick, dark green, glossy foliage. make payment until you receive an invoice with shipping discount applied.